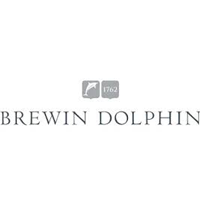 Brewin Dolphin Holdings PLC (LON:BRW) announced a quarterly trading update for the third quarter of the financial year ending 30 September 2018. · A quarter of record total income and continued strong organic growth in discretionary funds. · Total funds in the quarter increased by 6.5% to £42.3bn (H1 2018: £39.7bn, FY 2017: £40.1bn). o Core1 funds increased by 7.3% in the quarter to £40.9bn (H1 2018: £38.1bn, FY 2017: £37.4bn). o Discretionary funds increased by 7.3% to £36.8bn (H1 2018: £34.3bn, FY 2017: £33.8bn) as a result of continued strong organic inflows and positive investment returns. o Net discretionary funds inflows, including transfers, of £0.7bn representing an annualised growth rate of 8.2% (Q3 2017: 7.6%). · Total income of £84.2m (Q3 2017: £77.3m), an increase of 8.9%. o Core2 income of £82.2m up 11.2% on Q3 2017 (£73.9m) driven by strong year on year growth in core funds. o Total fee income growth of 7.6% to £59.2m (Q3 2017: £55.0m). o Total commission income of £18.3m (Q3 2017: £16.7m) following increases in transaction levels. 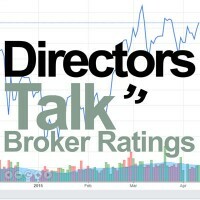 1 Core funds comprise discretionary funds, Brewin Portfolio Service (“BPS”) and execution only funds. 2 Core income is defined as income derived from discretionary investment management, financial planning, Brewin Portfolio Service (“BPS”) and execution only services. Click BRW for the full archive.